We grew up on the food pyramid that was created by the U.S. Department of Agriculture. It's aim, to guide people on "nutritious" eating. 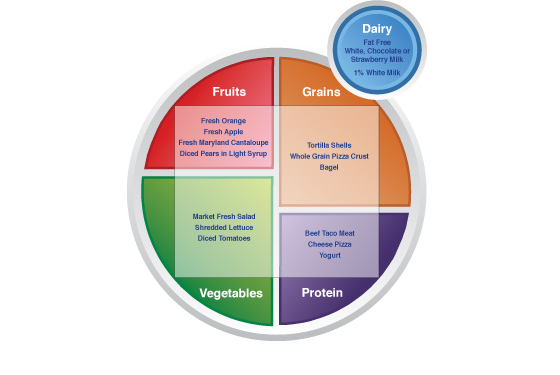 For people with diabetes, there was a separate food pyramid, one created by the American Diabetes Association and the American Dietetic Association. As much as we now know about the harmful effects of sugar, on diabetes and insulin resistance, obesity, visceral fat, cholesterol, heart disease, and even on dementia and Alzheimer's, the recommended diet for diabetic patients is 70% carbohydrates. The Diabetes food pyramid differs from the standard food pyramid in how they group beans and legumes. In the standard food pyramid, beans, nuts, and legumes are grouped with meats because they have protein. In the Diabetes food pyramid, blood glucose is the primary concern and legumes affect blood glucose the same way carbohydrates do. They're considered starches. Milk has it's own category because milk products still have a high amount of carbs. Fats are to be nearly avoided. You'll see sweets in this category and you may think that's a good thing, but they're in there for the wrong reason. They mean sweets as in "pies, cookies, and cakes." Things that are high in saturated fats and trans-fats. Times recently had a cover story about how the war on fat is over, saturated fats are not the bad guys, sugar is. Trans-fats are still bad but became the go to cooking oil because there needed to be a saturated fat alternative. The alternatives to saturated fats were mostly more harmful than good. So instead of butter, we used margarine. Instead of coconut oil we used vegetable oils. These oils are also becoming GMO products, especially corn, soy, and canola. 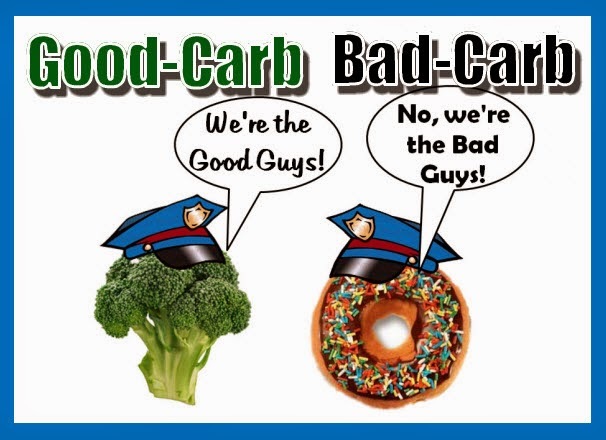 Apparently there is no good carb bad carb. "Many studies have shown that all types of carb foods affect blood glucose in the same way. It is the amount of carb you eat during a meal or snack that is important, not the type of carb." You don't get obese then diabetic. 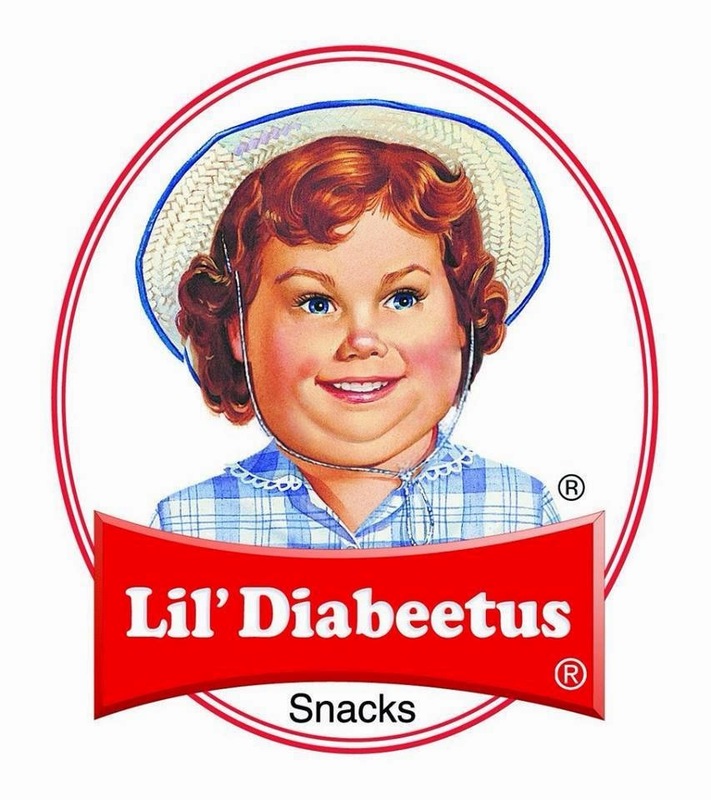 You start to become diabetic, then you become obese. Ironically if a calorie was a calorie, why were we always told fats and sometimes animal protein were bad calories? There has always been cherry picking. We counted calories and as long as the majority of your calories came from carbs, you were fine. Only when you started to eat too much fat and protein, did people say, no that's the wrong kind of calories. What becomes more confusing; a carb isn't a carb under this pyramid after all, as carbs from grains and legumes are considered to be "healthier" than other forms of carbs, including vegetables. The idea is grain products will have more fiber, fiber is good for your heart and blood sugar. Hence why it's advertised as "heart healthy." Carb counting and controlling blood sugar is the key to managing and preventing diabetes, yet carbohydrates takes up the lion's share of real estate in this pyramid. The view of the U.S. Department of Agriculture, the White House, the American Heart Association, the American Diabetes Association, and the American Dietetic Association is that the best way to manage diabetes is to manage weight and keep your heart healthy. This meant eating lots of carbs then burning it all off exercising. They looked at the "data" of cultures and people who barely ate meat, and saw the incidences of diabetes and heart disease were low so they ran with it. There were other cultures who happened to eat majority meat and fats who also had low incidences of heart disease and diabetes. These groups were ignored. What all these groups have in common are, they ate more real food, less sugar, smaller portions, were less stressed out, and were more social. They called it The French Paradox, how people could eat so much fat and still not have as many health problems. It's becoming less and less a mystery over time as we look for different culprits for heart disease. The commonly held belief is, there must be things about grains that are good at indirectly lowering diabetes and heart disease, and there must be things about meat (especially red meat and eggs) that indirectly raise the risk of diabetes and heart disease. The belief is, dietary fats not sugar leads to insulin resistance (type 2 diabetes). So fats not sugar raises blood sugar? Fats also makes you fat? Since diabetics are at a higher risk for heart disease, they must avoid fats even more than the general population according to these guidelines. The idea is fats cause diabetes and heart disease, as opposed to sugar. There's always more than one causality, fats also may be a problem, but sugar is a key player. In reality, nearly every other culture is healthier than Americans. We live longer than the world average because the conditions of the US are safe (medical intervention, safer environment, sanitary conditions, access to clean water, stable government, lack of famine, GDP, early spotting of outbreaks, and lack of violent wars in our homeland), which is not the same as saying our people are healthy. Our health issues are chronic. Even with those advantages of being the top first world country, many other first and second world countries out live the US. Currently we're behind 34 other countries. "Humans are the only mammals that suffer from chronic ill health. One critic suggests it’s because we are the only animals clever enough to manufacture our own food – and stupid enough to eat it." All these countries ate differently but still better than Americans, the most industrialized country in the world. Instead of looking at what they're doing, it may be better to use introspection and look at what we're doing a lot of. Eating too much, sitting too much, preparing food too fast, eating too fast, stressing out, eating late, and not sleeping enough. We're in a rush and we can't step out the door with a steak in our mouth, but we can run out the door with some carb based food product. To eat vegetables and meats, we'd have to actually sit down and eat like people, and take our time. We'd also have to prepare it since some or all of the items would be hot. We're much too busy and important for that. Carbs are convenient and our diet is based around convenience, abundance, and sweetness. American versions of every ethnic food means, just make it sweeter, richer, and bigger. The most industrialized country eats the most industrialized foods, and as countries begin to industrialize, they also begin to eat more industrialized foods and have the same health consequences as the US. Right now China and India are facing these issues. Old policies and newer health arguments agree that fats and carbs have a direct relationship, when you lower one, the other goes up. They agree on the mechanism, they disagree on the main culprit of poor health; fat or sugar. The USDA guidelines picked fats, Americans heeded the warning and lowered their fat intake, thus increasing their carb intake. Things not only did not improve, it got worse at an accelerated rate. 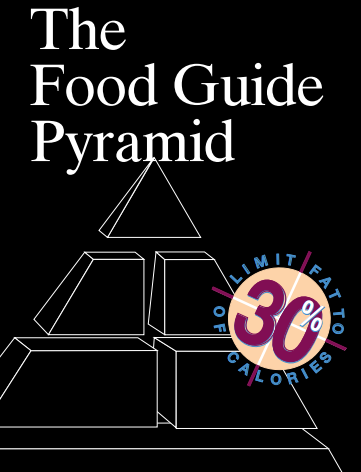 Denise Minger has done a wonderful job explaining more in her book Death By Food Pyramid, tracing the sordid history of the Food Guide Pyramid. How it started out with good intent then went awry. 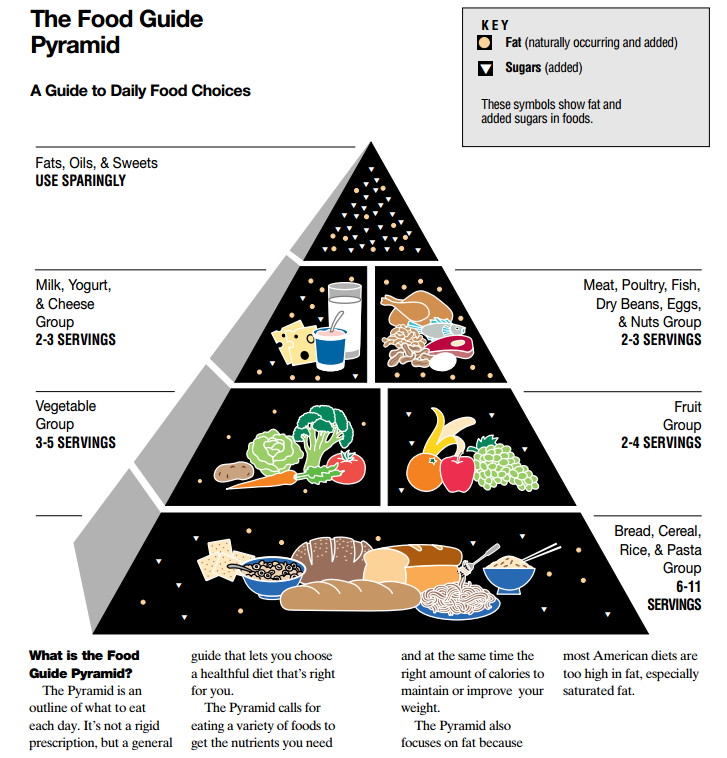 What's striking with the standard pyramid is the base is made up of refined carbs, not vegetables. The fear is if you don't eat enough carbs you'll turn to fats, maybe if you eat vegetables you'll drizzle too much oil on it or cook it in oils. Most "health" diets are based around low-fat, high carb. 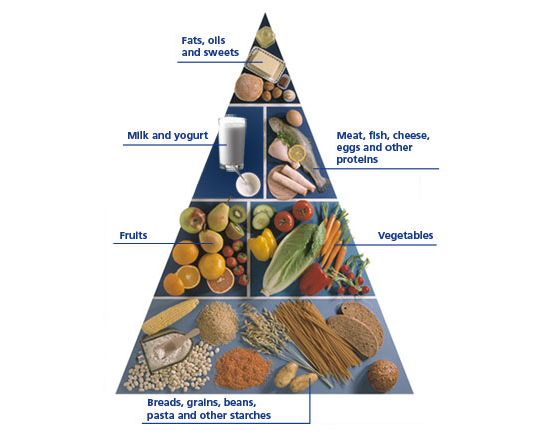 You remove meats from this pyramid and you have a standard American vegetarian diet. You remove milk products along with that and you have standard American vegan diet. All the standard health diets aren't that contrary to the standard recommended guidelines. The health industry isn't challenging the establishment, the're following their rules. They say provocative things like, "they're lying to you," "they're trying to keep you sick," and tell you that you need more carbs, in fact drink it in liquid form, eliminate fats, count calories, take more supplements, and exercise more. That's the same message the USDA is telling you! Actually they're being more militant about the guideline than the USDA. Do the same, just do more of it! 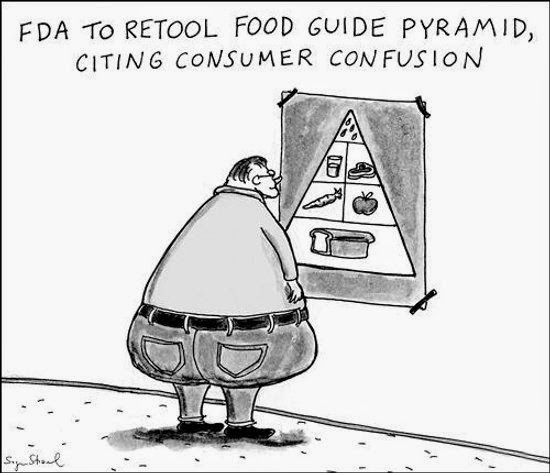 Food pyramid extremists. With such minimal changes, it's unlikely results will be that varied from those following the standard pyramid. It's why food documentaries like these never scare the establishment. They're part of the establishment. Only when Fed Up came out did the establishment get worried. It was a movie that claimed it was sugar not fats that was the core of our health crisis and called everyone out for dancing around the real problem. No one was challenging processed carbs and sugar being the foundation of the pyramid until now. It wasn't always this way and we didn't always have the food pyramid or the low-fat high carb dogma. This is fairly recent in our history and it's important to know that. Thinking things have always been this way and this is how your grandparents and their parents and their parents parents ate makes this idea seem more authentic, a historical consensus. We become more attached to this notion if we believe this is how it's always been. If we think a religious text is ancient, we want to preserve it. If we find out it's only a few decades old, we don't see it the same way, we see it as modern folklore. Changing the food guidelines seems radical because we falsely believe this is how it's always been, but it hasn't. It's only been like this for the past several decades. That's how the guide wants to come off, as ancient. People who argue against these guidelines are attempting to go back to status quo, back to eating more varieties of real food, back to the original consensus. People didn't need to exercise back then to be healthy, they just needed to live and avoid infections and war. They didn't count calories, take spin classes, or avoid butter and they were fine. If you explained to them our modern eating practices, they'd think we were the radical nutcases. That's how Americans come off when they go to a foreign country and tell them all the real foods they won't eat, and look for some carb food thing. They don't count calories, they don't exercise as much as Americans and they're thinner. We're the nail that sticks up, yet we're hammering the world about their diet and teaching them our guidelines. Everyone knows that grandma who lived to be over a hundred even though she ate "poorly." Maybe she didn't eat poorly, maybe the guide we compare her eating to said she ate poorly but in reality, she ate quite optimally. Maybe we're the ones eating poorly in comparison to her; she's the centurion after all. The French Paradox all over again. Jack Lalanne said the biggest health problem facing Americans was becoming sugarholics. This was in the 50s. During the depression, Americans were told to eat more refined carbs to maintain their weight because there was a lack of food. It was known carbs were effective at increasing weight. Bread and soup, refined carbs and liquid food. Now that's not depression era food, that's just normal, to eat refined carbs on the go and drink your food. Fat is sugar's biggest rival and the USDA has gone so far as to put an X through it. There's not much money in fats, but there's a lot of money in sugar and pharmaceuticals and they're the leading sponsors for the organizations that set health policies, standards, and guidelines. Even supplement companies want you to eat this way, and whatever nutrients you lack from this diet, you can get it in the form of a pill or a drink. Meat is not the foundation of the American diet so reducing/eliminating that will have nominal changes to our public health. Grain, soy, corn products, and sweeteners (such as sugar and corn syrup) are the foundations. Our daily consumption of them has nearly doubled since the 70s, but lately it's been leveling off as consumer education about the dangers of sugar has changed (coincidentally butter sales are at a 70 year high). To big sugar, meat is less profitable so it works great as a red herring. People want to change something, big sugar doesn't want to lose money, this is the unspoken compromise. The illusion of changing things for the better and increasing something more harmful by eliminating the wrong thing has made the health situation partisan and dire. For years no one questioned the guidelines with any amount of support, not really until the Paleo movement; a group looking to our past instead of the food pyramid for guidance. They questioned current guidelines and science began to address their questions, finding holes in old studies, more questions were being asked, more findings, and more research. Biology isn't biology without evolution. Looking at the past with better science. Being healthy no longer had a set in stone answer, paradigms began to shift. That's how science works, when it gets set in stone like the commandments is when it's no longer science but religion, and that's where it's been heading. Science is about more questions, more answers, better questions, better answers. Only a god can give you absolute rules, the USDA is no god. What researchers and doctors found was that, whether we were evolved to eat grain and legume products was still uncertain. However we do know there's an excess of these products in our diet and they've become richer over time. It's doing bad things to our blood sugar, causing inflammation to our cells, and the meat and fat explanation just didn't add up. Science was drawing the same conclusions as Paleo, but the reasons were different and founded on more research rather than observation. It's not so much specifically about grains, legumes, or dairy, it's about not being evolved to handle the amount of sugar we were intaking, even the low calorie and 0 calorie kind. They also found eliminating much of the healthy fats from our diet not only increased sugar intake, but had tremendous health consequences of their own. We replaced good fats with trans-fats, polyunsaturated fats, partially hydrogenated fats, and omega 6 fats. Instead of naturally occurring fats from nature, we tried to make our own alternatives because we believed natural fats were bad for us. Our bodies definitely were not evolved to handle this new man made industrial fat. Now even the government is trying to remove these fats from our diets. "Ironically, at that time in my life, I was also doing cancer research, immune-based therapies for melanoma, to be specific, and in that world I was actually taught to question everything, to challenge all assumptions and hold them to the highest possible scientific standards. Yet when it came to a disease like diabetes that kills Americans eight times more frequently than melanoma, I never once questioned the conventional wisdom. I actually just assmed the pathologic sequence of events was settled science. Three years later, I found out how wrong I was. But this time, I was the patient. Despite exercising three or four hours every single day, and following the food pyramid to the letter, I'd gained a lot of weight and developed something called metabolic syndrome. Some of you may have heard of this. I had become insulin-resistant. You can think of insulin as this master hormone that controls what our body does with the foods we eat, whether we burn it or store it. This is called fuel partitioning in the lingo. Now failure to produce enough insulin is incompatible with life. And insulin resistance, as its name suggests, is when your cells get increasingly resistant to the effect of insulin trying to do its job. Once you're insulin-resistant, you're on your way to getting diabetes, which is what happens when your pancreas can't keep up with the resistance and make enough insulin. Now your blood sugar levels start to rise, and an entire cascade of pathologic events sort of spirals out of control that can lead to heart disease, cancer, even Alzheimer's disease, and amputations, just like that woman a few years earlier. With that scare, I got busy changing my diet radically, adding and subtracting things most of you would find almost assuredly shocking. I did this and lost 40 pounds, weirdly while exercising less. I, as you can see, I guess I'm not overweight anymore. More importantly, I don't have insulin resistance. But most important, I was left with these three burning questions that wouldn't go away: How did this happen to me if I was supposedly doing everything right? If the conventional wisdom about nutrition had failed me, was it possible it was failing someone else? And underlying these questions, I became almost maniacally obsessed in trying to understand the real relationship between obesity and insulin resistance." It's easy to put all the responsibility on the patient as Dr. Attia had done. The instructions were clear, it's the patient's fault for not following the instructions. It's difficult and scary to think the established rules were wrong, but it takes some of the burden off of the patient and shares it with the people in charge of their health. If you've ever bought something that had to be put together yourself, you know sometimes it's you that didn't follow the instructions correctly when it didn't turn out right. There are also times the instructions were completely wrong. Both parties can be accountable. Same thing with recipes, you follow the instructions and it just doesn't turn out right. It's normal, things can be wrong. For too long with food and health guidelines, they were not (and are not) willing to admit to wrong information. The government has been wrong on many things, it would be quite strange that somehow they're perfect and the leading experts on health, when it's one of the things they least fund. And there's no reason to do more funding if the answer is so simple, calories in calories out, fat is bad, move more. It's been figured out, there's no more need to study. It's absolute and set in stone and for a people that questions everything, we weren't questioning that. For a people that constantly shift blame, we took total responsibility for our health and weren't putting any of the blame on the guidelines. Fat shaming is a thing because we truly believe it's solely our own fault for our weight and we don't need people making us feel guilty or reminding us of our inability to follow these clear and simple rules. People constantly say, I know what I'm supposed to do (follow the guidelines), I just can't do it. They think they're a failure and they blame themselves. These guidelines only work for a small number of people trying to lose weight, if they're the proof it works, everyone else must be lazy and gorge on food (birth of modern fat shaming). If we did blame, we blamed our bodies, our genes, our parents, but not the health policy makers, not the health industry, and not the pyramid. There's psychological ramifications to these guidelines and after being so beat up, even when a better approach comes, mentally we're too frail to do it. Life is complex, so is our health, so is this situation. It's hard to set policies and even harder to change them. Things take time and changing policies quickly would only alarm people. Everyone claims to eat "real food," but who really does? They tell you to eat "real food" but do they really mean it? It's all quickly made and quickly eaten foods, based around convenience, not on being "real." What's more real than drinking water, eating vegetables, nuts, fruits, and meats? The people eating this way eat more real food than any other "health diet," yet this sort of real food eating is considered dangerous because it doesn't follow the pyramid like every other diet does. Processed foods were eliminated instead of fats. Real food eaters aren't falling in line, their existence challenges all the current health dogmas. They need to be hammered down. Is it really dangerous or is it just not profitable? 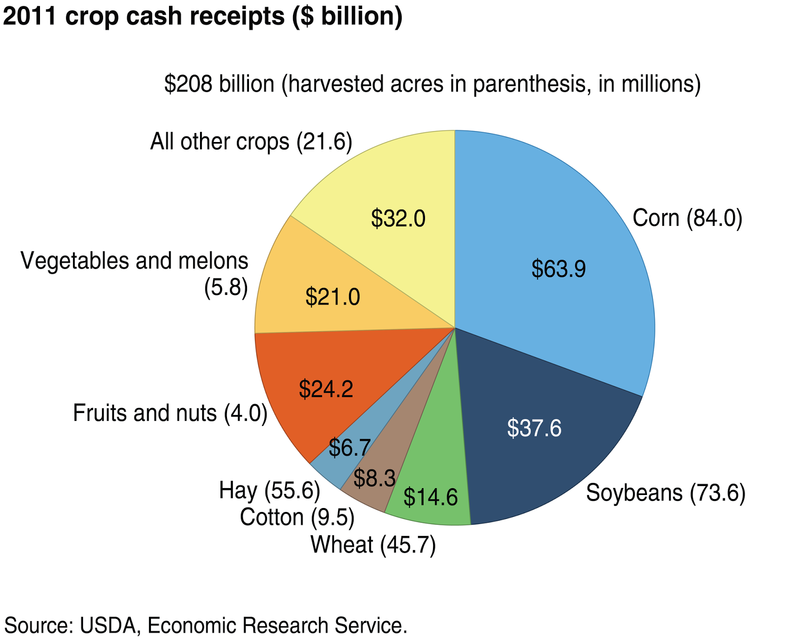 Grains, legumes, and refined carbs are not only the most genetically modified, but they're also the highest profit foods (refined foods, legumes, sugar, and grains are some of America's top exports as well as domestic best sellers). Exercising outside or in a box studio with minimal equipment is also not profitable. No wonder there's very little mass commercial support for this, just grassroots efforts. Big food, big health, big government, big non-profits, are all delivering the same message. People are attempting to change but they're just moving laterally. Big food doesn't care what you do, as long as you keep eating within guidelines and try to burn a million calories at the gym, so that you can eat more food within their guidelines. You're convinced you can eat all the foods you love (sugar) as long as you work out. Working out isn't the enemy of big food, they make a lot of money in the exercise business. Current health standards and policies aren't the enemy of big food either, as they help to set those standards. Move more move more, we are moving more. As a country we exercise more and more than years past and we could exercise twice as much as we are now and it still may not make much of a difference unless our eating behaviors and ideas about diet changes. We're the champions of exercise and we have the world's best athletes. It doesn't matter. Want to see where all the unhealthy people are? Go to a gym. Other countries aren't thinner because they move more, we're fatter because we eat worse than them. Our ancestors didn't need exercise to be healthy, neither do many people in foreign countries. That's important. In a way, Americans use exercise as a crutch, to justify their poor eating and lifestyle. Thinking exercise can cancel out just about anything. A culture that doesn't have the belief negative health behavior can be cancelled out may tend to be a healthier one. Our idea of exercise may be making the problem worse. The idea, all we need to do is move more is overly simplistic and wishful. Life is complex remember? With each new reiteration, recommended diet, and health craze pushed by the health industry, they're just shuffling the same pieces, the same message in new ways. Fat is bad, sugar is good. Now instead of whole grain bagels and cereals (sugar), it's juices, smoothies, and fruit bars (sugar). Instead of margarine (hydrogenated oils), it's canola oil (hydrogenated oils). Just different versions of low-fat, high carb. We pretend the emperor has new clothes, when he doesn't. 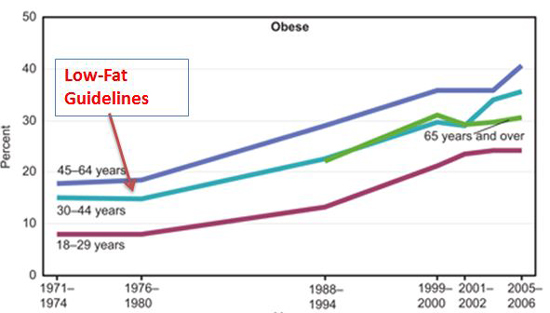 As diabetes and obesity keeps climbing. It's not just faceless corporations and big government, it's us too. We like sugar, more than just about any other food. We crave sugar. We're addicted. We would rather give up anything other than sugar, and they tell us what we want to hear, and we want to believe with blind faith. It's almost a win-win, the only loser is our health. It's become dogma, not science. A very high profit dogma. What better way to sell something if people believe on good faith and consume without question? It's time to change the pieces all together if you want to see real change.